You can’t protect what you don’t know. You need a full view of every server and device exposed to the Internet to prevent compromise. With Censys, you can monitor and patch known corporate infrastructure while also discovering unknown assets—anywhere on the Internet. To get the comprehensive view of your organization’s assets, you need real-time data about every server, host, and domain connected to the Internet. With this information, you can discover unknown infrastructure, monitor known assets, and find vulnerabilities so you can patch them and remediate risk. 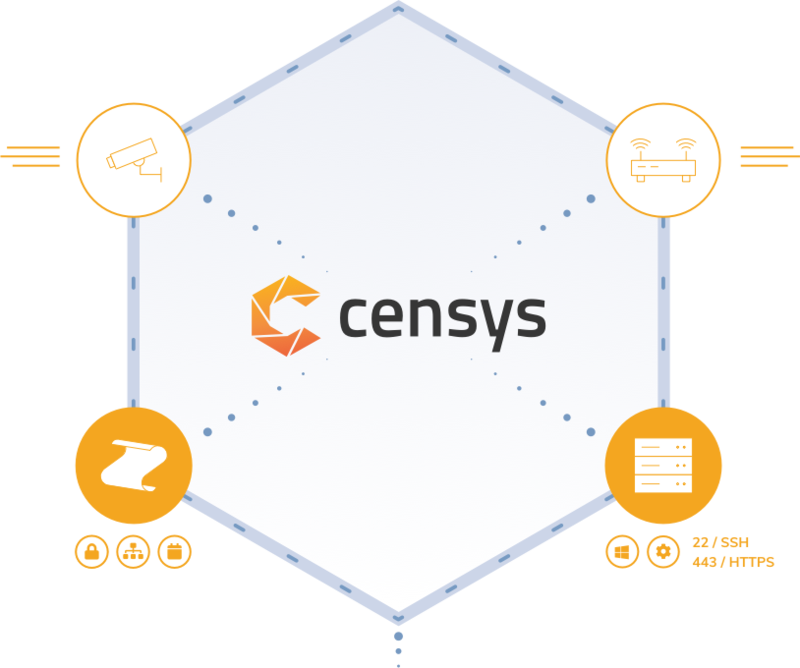 Censys collects Internet data about every host online and enriches that data with the security information you need, providing you with the level of insight you need to secure your company. With our data, you’ll have everything you need to analyze potentially insecure corporate infrastructure, prevent phishing and brand impersonation, track known adversaries, and prevent threats. You know best what Censys data output will work best for your organization. Whether you need a developer API, SQL, or JSON outputs, we’ve got you covered. We enrich our data with layers of relevant information about what is running on each host and make that information accessible through a web search and API interface, as well as providing raw data and SQL access. Censys also helps you protect your company against phishing attacks by finding unauthorized websites that are impersonating your brand. Advanced security teams can use Censys for threat hunting and to gain valuable insight into attacker behavior and infrastructure. Motivated attackers can find any device or host your organization has online. In order to protect against these threats, you need as much actionable insight and visibility as possible about your business.